Lock in a great price for Goryeo Hotel - rated 8.3 by recent guests. It really was just 3 minutes walk from the station. Room was big and had hot and cold water machine, little fridge, big bathroom and robes toiletries etc. The manager was great and organised a private taxi tour of Hahoe and other cultural areas for me the next day when I arrived late and could not do the full bus tour. The town is like a mini Vegas, lots of neon and fun! Even the room numbers outside your room in the hotel flashed red! 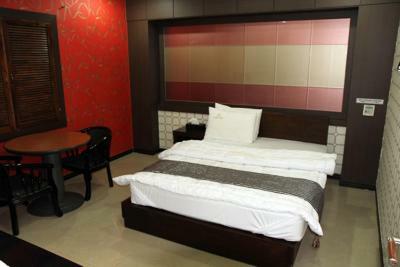 The hotel is very close to the train station and right in the centre of Andong. Many places for having food are just around the corner. 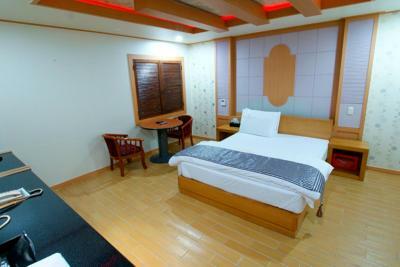 The hotel is located at central area of Andong. It was very accessible to main streets where various restaurants (including Burger King and Starbucks), convenience stores and shops are located. The room was spacious. 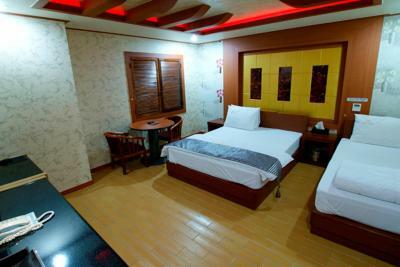 Location, good size room, free water machine in room. Very comfortable stay and room was very clean. The manager was extremely helpful with booking me a reliable taxi for the day trip around Andong. 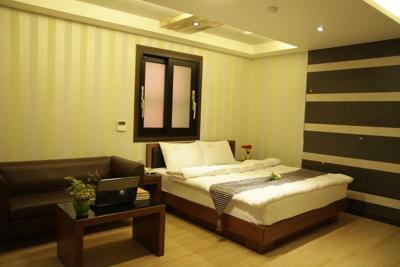 The location is very good, walkable distance from the railway station. 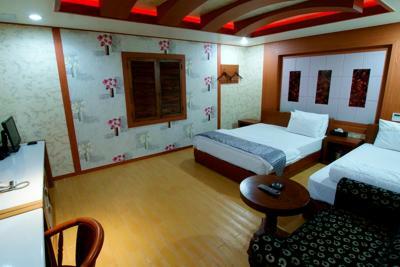 Elegant and luxurious room for reasonable price. Great bathroom! Right in the centre, close to market, local bus stops and train station. 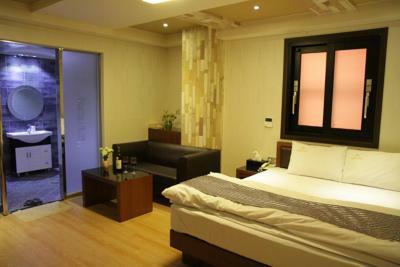 Goryeo Hotel is conveniently placed just a 5-minute walk from Andong Station. 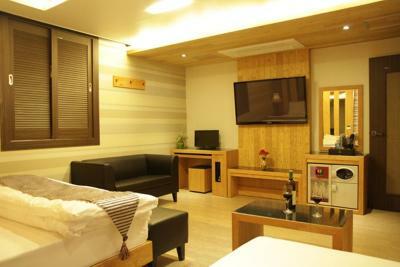 Featuring contemporary rooms with en suite bathrooms, guests also enjoy free Wi-Fi access and free parking facilities. 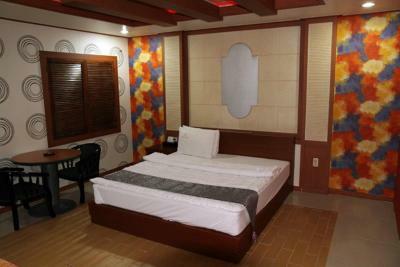 The accommodation is located a 9-minute walk from Andong Culture and Tourism Complex. Andong Hahoe Village – a UNESCO World Heritage Site, is a 40-minute drive away while Daegu International Airport is 90 minutes away by car. Fitted with a TV, mini-fridge and private computer, rooms here are cooled with air conditioning. A bathtub or spa bathtub and free toiletries are included in the bathrooms. A 24-hour front desk will be happy to assist with dry-cleaning/ironing services, luggage storage space and travel arrangements. 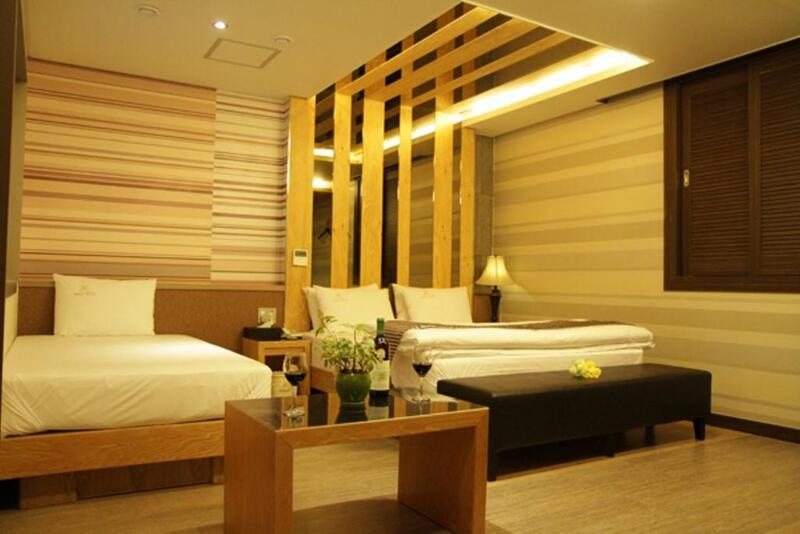 Heating facilities are provided throughout Goryeo Hotel. Guests can sample various local cuisines including popular street food delicacies along the same street as Andong Station. 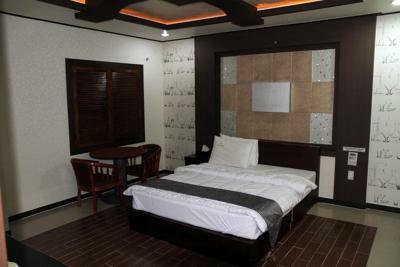 This property also has one of the best-rated locations in Andong! Guests are happier about it compared to other properties in the area. This property is also rated for the best value in Andong! Guests are getting more for their money when compared to other properties in this city. Goryeo Hotel has been welcoming Booking.com guests since 26 Nov 2013. When would you like to stay at Goryeo Hotel? 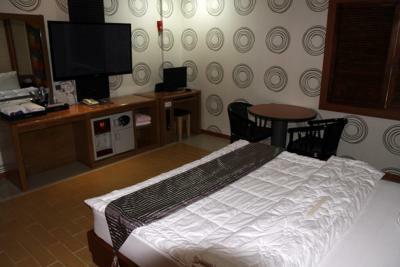 This air-conditioned room comes with a sofa, private computer and TV. The attached bathroom includes a bathtub. 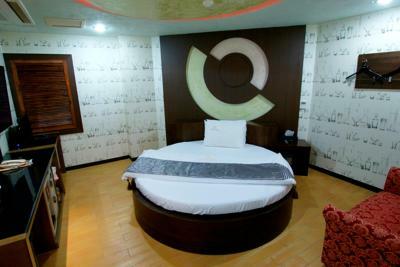 This air-conditioned room comes with a sofa, private computer and TV. 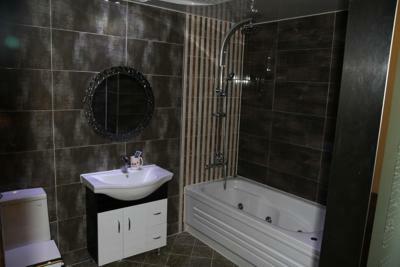 The attached bathroom features a spa bathtub. This large room features more elegant furnishings. 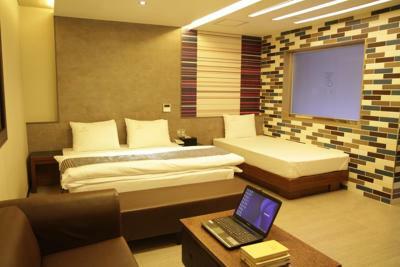 This air-conditioned suite comes with a sofa, private computer and TV. The attached bathroom features a spa bathtub. 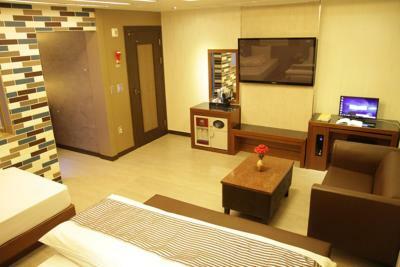 This spacious suite features luxurious interiors. House rules Goryeo Hotel takes special requests - add in the next step! Goryeo Hotel accepts these cards and reserves the right to temporarily hold an amount prior to arrival. There was only one tea bag each. The room was ready so they let us in early. It was very dark in our room and the heating could not be turned off. 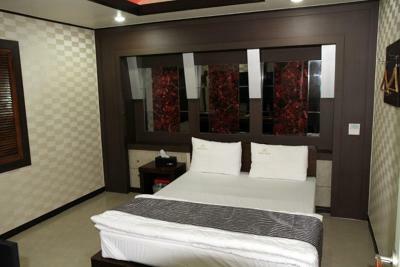 Despite of being classed as three star hotel, the condition of the room was bit worn. However, it is said that it's neater than other hotels in Andong. For a room that felt deluxe in most ways, the toilet paper was the worst quality i encountered during my stay in Korea. 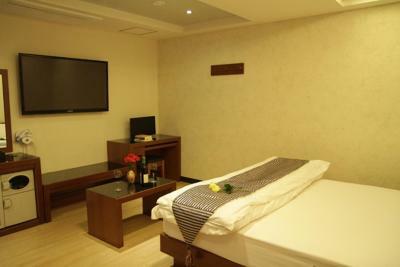 The room felt like a boutique hotel - pristine white linens, sofa, amenities, including a fridge. The bathroom was huge and modern. The location was very central - a 3-minute walk from the train station and convenient to buses, markets, and restaurants. Bed was very hard. Room was a bit noisy as you could hear the water draining from rooms above. Dark corridor with flashing red room lights. I am still not that keen on love hotels accepting regular guests for leisure stays. It just seems a little bit odd. Or at least make one floor bright and cheery for tourists. Lobby was non existant...no couches etc for waiting. 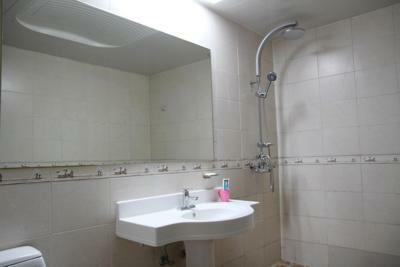 Shampoo/Toiletries etc., hot and cold water machine in room. New bath robes. Wi-fi. Location near to the train station and close to the food street. Room and bathroom was spacious and warm as temperatures had dropped that evening. Room was very clean. No provision for making tea/coffee inside the room. Excellent attention from people from the desk.